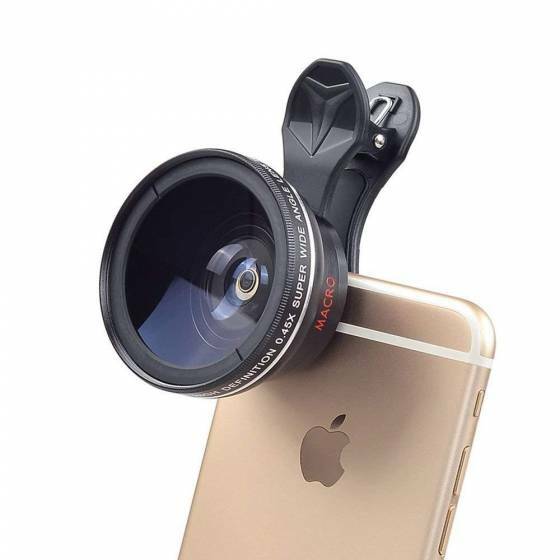 A versatile lens for everyday shooting, high quality lens element enables an overall high standard of performance, ensures clear images and enhance your phone photography.Giving you an experience of DSLR quality performance and capture stunning photography. 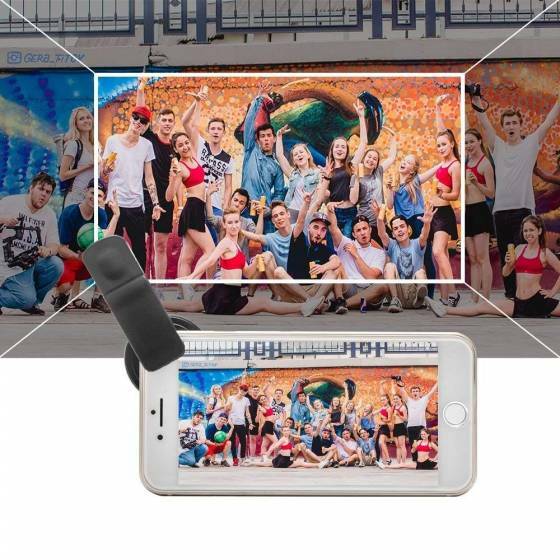 The wide-angle lens draws more of the surroundings and subject into the image and adds a sense of depth, it is useful when you try to take commemorative photos of family or friend, snap a famous building or landscape. 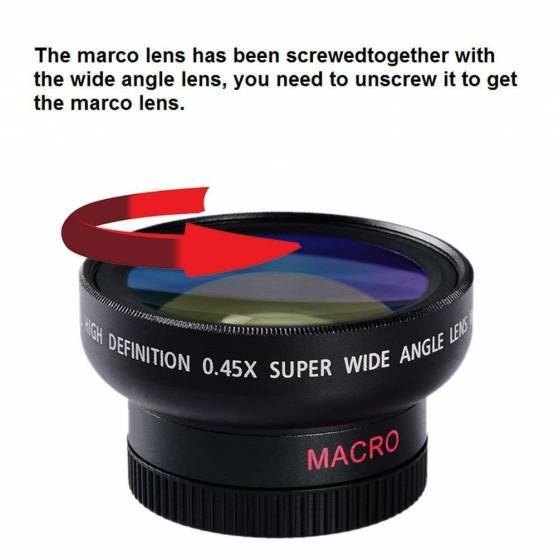 The macro lens allows you to focus much closer than your phone camera, you can get the best quality image possible for closeup photography, show the beauty of a tiny world, find out that there is an abundance of subject from flowers, leaves, plant life, insects, etc. 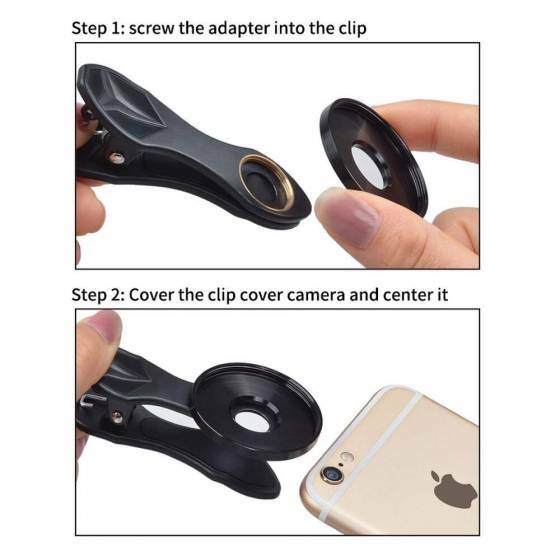 Universal soft rubber pads clip, Portable, removable and solid clip-on design that attaches to almost all smartphones including iPhone 8, iPhone 7, iPhone 6S, 6S Plus, iPhone 6, 6 Plus, iPhone 5S, SE, Samsung Galaxy S6, S6 Edge, S7, S7 Edge, HTC, Sony, LG G6, G5 and many others. 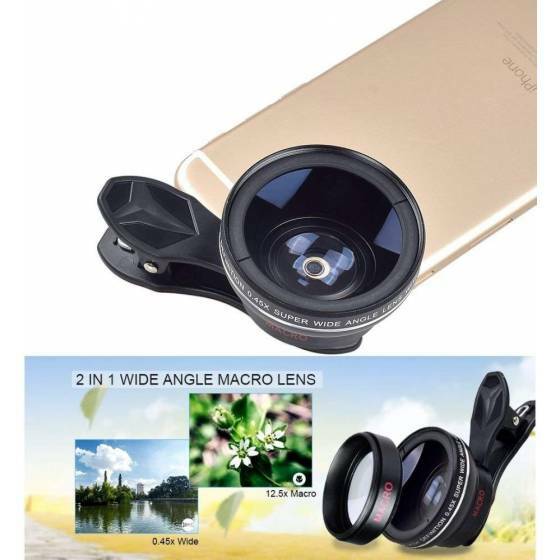 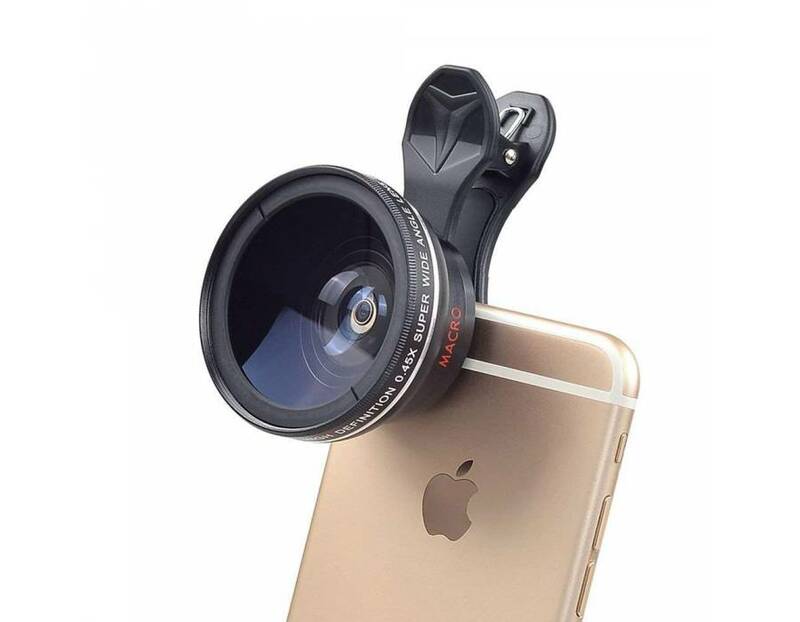 Features: 0.45x Wide Angle Lens allows you to capture more of the scene into your photographs and a high definition wide angle image without distortion, which is useful in architectural, interior and landscape photography. 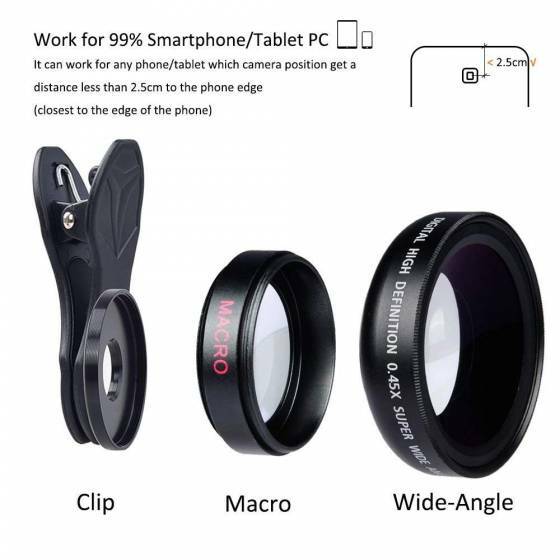 Note: 0.45X wide angle lens individually. 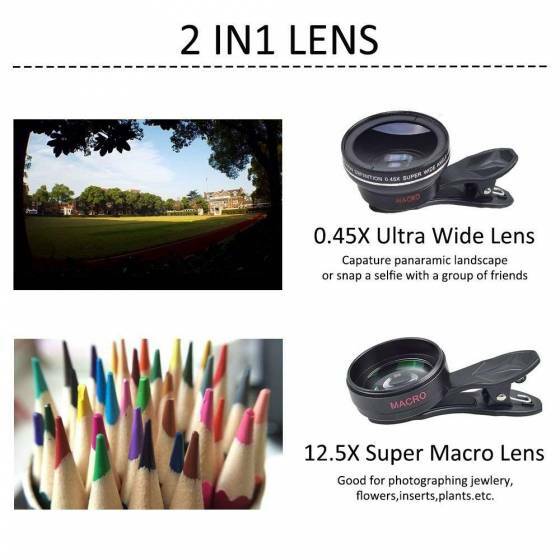 When shooting pictures, it is suggested that the wide angle lens be used in a wide-open area in order to get better photos. 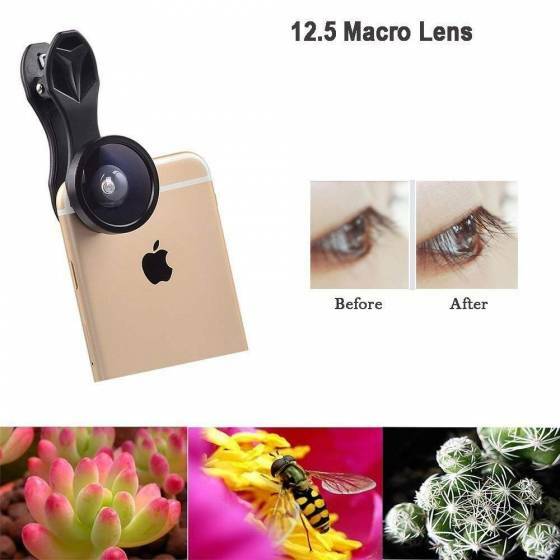 Features: You can explore the world which is invisible in naked eyes, take sharp pictures as close as 1.5in from the subject, perfect for extreme close-up flowers, coins, insects, etc. 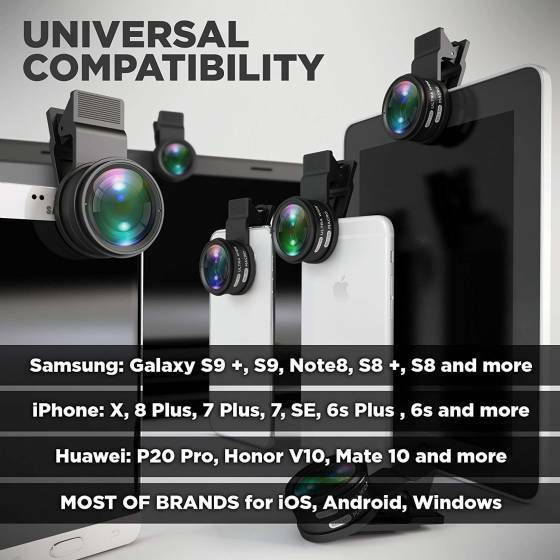 HTC, LG, Sony most the phones & tablets with the camera eye at the edge.